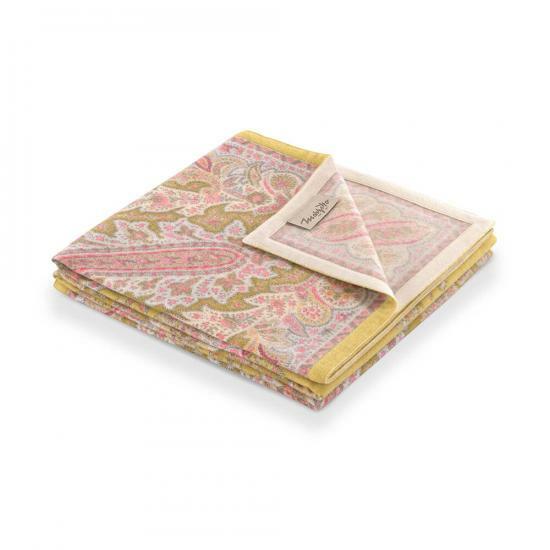 ORION cashmere and silk blend printed throw by Marzotto - silky smooth and warm + a touch of the exotic = the height of luxury. MARZOTTO (LANEROSSI) cashmere blankets and throws are stocked in Italy (woven in Lithuania) and ship in approximately 2-3 weeks. Imported from Italy (cashmere woven in Lithuania), items may not be cancelled after 24 hours, returned or exchanged. Return to Marzotto Collection Homepage or Yacht Blankets and Throws. 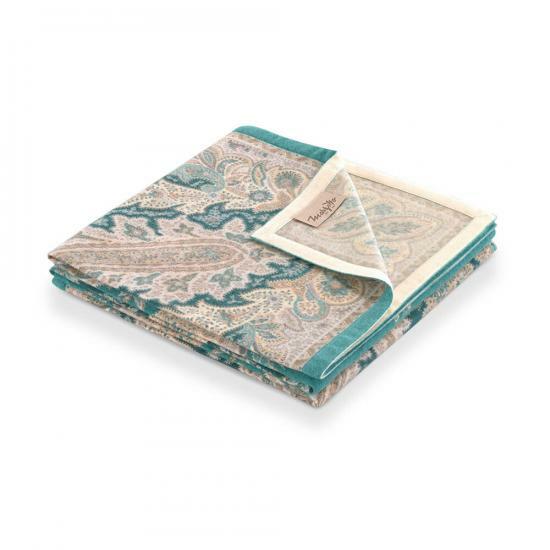 Orione Cashmere Silk Throw 55" x 70.8"